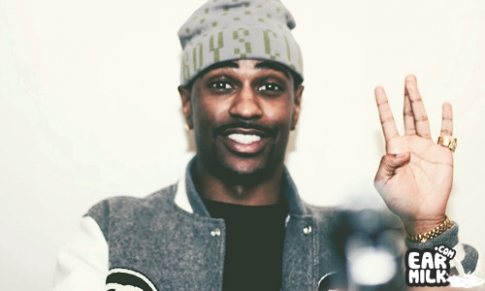 Big Sean has removed himself from the shadows of G.O.O.D Music's impressive roster and entourage to become a focal leader of the crew. ..
Big Sean's sophomore LP Hall of Fame, is set to drop by the end of the summer, but a sneak preview of the Detroit rapper's "Fire" has shown ..
Big Sean has been an interesting artist to follow. I really enjoyed UKNOWBIGSEAN and Finally Famous Vol.3: Big, but wasn't really feeling ..
As promised, tonight Big Sean has dropped off a new track, which is to be featured on his forthcoming sophomore album Hall of Fame: Memoirs ..
Now that it's fall, and Detroit is out, maybe we can we finally expect Cruel Summer to be released without any more delays. Looking at the tracklist .. It seems as though mixtape season has come around, as Big Sean blesses us with his first solo project since his album, a highly anticipated .. Some would say it has been a cruel summer waiting for the G.O.O.D. Music crew to finish up their ultra-hyped project. So as the September ..